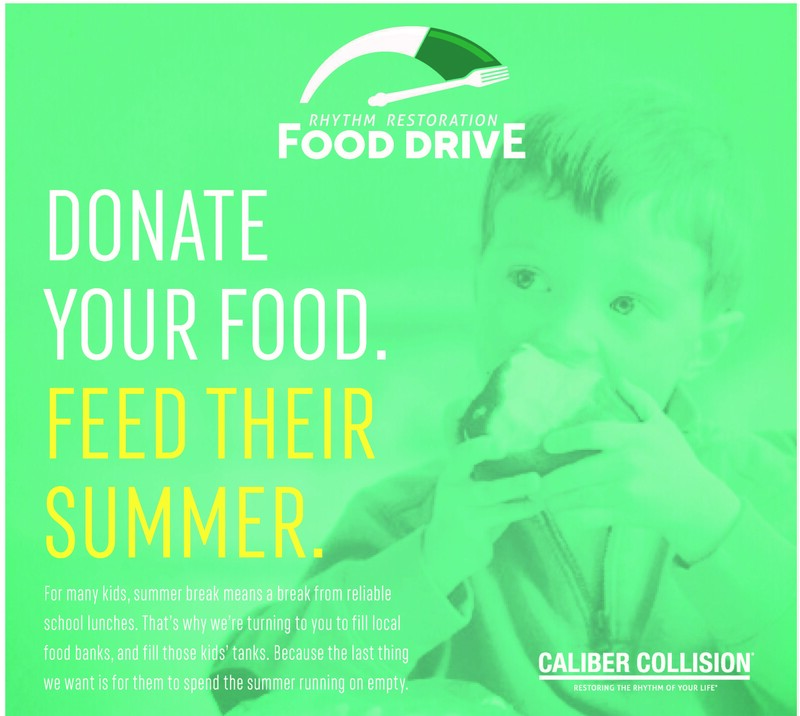 Caliber Collision Says “Fill ‘er Up” with Donations For 7th Annual Rhythm Restoration Food Drive!! Caliber Collision, the largest collision repair company in the country, is asking its customers, business partners and the public to “fill ‘er up” by donating grocery bags full of food during its 7th Annual Rhythm Restoration Food Drive, going on now and through May 11th. Donations from Caliber’s food drive will help Placer Food Bank stock the shelves of over 60 food agencies in our region of El Dorado, Nevada and Placer Counties during the summer months when many children who typically rely on school lunches go hungry when school is out. Online donations can also be made at HERE.